What is that weird and gorgeous thing? Even with the C+, that's a pretty stellar GPA. Isabel thought it was too lemony. Mark wasn't a fan. Owen didn't try it. I thought the cake was dry (in a good way) and had a lot of great, goaty character. That said, I didn't like it as much as I like a creamy, snow-white cow's milk cheesecake with a supersweet graham cracker crumb crust. I feel this is like admitting I like grape juice better than wine. As I wrote in the last post, Gordon grew up with a big crush on a glamorous San Francisco bakery called Fantasia, but she later reveals that there was a second, very different San Francisco bakery that shaped her baking style: Tassajara. 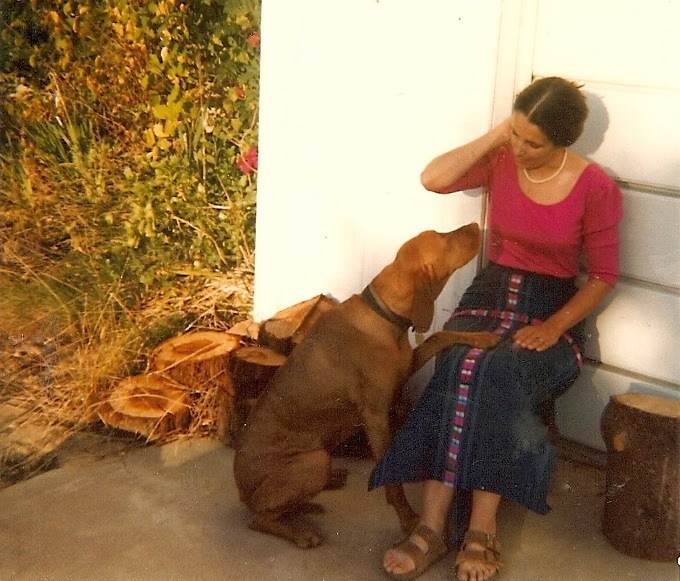 The Tassajara Bakery was the offshoot of a Zen Buddhist center and while I don't remember the bakery itself, I remember the breads -- big, rustic, rugged loaves that were sold at a famous vegetarian restaurant called Greens. If Fantasia was the impossible dream, Tassajara was the earnest, earthy reality of San Francisco in the '70s and early ‘80s. My reality. Although never a hippie, she favored ethnic clothing, sweetened everything with honey and ground her own whole-wheat flour. If she made brownies, they were carob. You can see the Tassajara influence on a handful of Gordon's recipes, like her whole-grain muffins. On Saturday, I got up early and baked a batch of these because it seemed like a nutritious breakfast for Isabel, who was heading off to take the SATs. They’re full of everything considered healthy in the Aquarian Age: whole-wheat, millet, oats, honey, prunes, yogurt, eggs, mashed bananas. There's not a single ingredient on that list that is universally embraced by the dietary police of today. Not one. I understood. Isabel headed of to the SATs on a breakfast of peanut butter toast, bacon, and a Starbucks vanilla latte. Then I ate a muffin and was happily surprised. What you can’t tell from their lumpy brown exteriors is that these muffins are actually very light, fruity, and delicious. A lovely homage to a bygone baking era. I'm getting sick of writing about bygone San Francisco bakeries, but there's no escaping it. Blum's was yet another legendary and influential San Francisco bakery, one I don't personally remember. (The last Blum's closed in the late '70s.) It was famous for a coffee crunch cake that consisted of layers of white cake frosted with coffee whipped cream and topped with chunks of cinder-like coffee-flavored toffee. People who grew up with this cake are obsessed with it, among them Valerie Gordon who created her own version of this "extinct" (her word) dessert. I didn't grow up with this dessert and am not obsessed with it. I baked and assembled Gordon's version of the cake and took it to my sister's last night. Everyone complimented me, but I was deaf to their praise. The cake layers were lemony! I've never understood lemon peel in espresso and I don't understand why you'd want to eat a lemony cake slathered in coffee whipped cream. Maybe you just have to grow up with it. That was my first issue. Then, there was a problem with the coffee crunch topping, which looked fabulous, but tasted of baking soda. I've looked at other recipes for coffee crunch and the proportion of baking soda in Gordon's version does indeed look a bit high. It's also possible I made a mistake. In any case, the cake was beautiful, but in my view, a bust. These were amazing. The cookies in this book have been so consistently amazing that I'm planning to make them all. I made the coffee crunch cake on Friday (I had never tried it, either) and was underwhelmed. Then I ate a piece Saturday, and the crunch had become sort of gooey and sticky, and I loved it. I couldn't stop thinking about it. Feeling the same way you do about the lemon/coffee combination, I omitted the lemon peel. Finally, this is my first time piping up, but you are my favorite blogger so forgive me if I feel like I know you. I may not always want to cook what you do, but I always want to read about your take on it, so thank you! Interesting about the gooey melted crunch! I'm half sorry I didn't keep the cake, and half glad. Oh, Jennifer, cookies are my downfall. I have a double batch of almond snowballs sitting in a tin in the kitchen right now, and I am trying to forget about them. I love cookies for so many reasons. They are portable finger food, they generally keep well, and if I am not off my game, they have some built in portion control. Pies are not usually as good after a day or two, and cakes get stale, but cookies hang in there, which is probably not a good thing for my waistline. I hope you review all the cookies you make from this book, please? As to Isobel's idea of what is heavy, I laughed out loud. That's hilarious! How many grams of fat do you reckon was in her breakfast? Of course, it was probably a good choice since she would not get hungry while taking her tests. The whole grain muffins sound wonderful, since muffins come in a close second to cookies, and I am an old hippy. I can see that I am going to have to buy this book soon. Oh, and the commenter above is right. I absolutely love reading all your reviews, so thanks for all the time you put into doing this. I feel as you do about cookies, beckster. I will continue with the cookie testing, but we have a few more oatmeals to get through. No, no, a thousand times no to oatmeal raisin cookies. I have never once tasted one that didn't make me wish the raisins were chocolate chips. But I am so intrigued by the Durango cookies! Also, your mother was gorgeous. You will not be disappointed by the Durango cookies. Thank you for the great recipes, writing and photo of your mom. I also grew up in the Bay Area, and I remember special and delicious lunches at Greens with my mom. Her first post-college gift to me was The Tassahara Bread Book. Your post was a great respite after a hard day at work. My mom was a big Greens fan, too. I think one of her first gifts to me was a Greens cookbook -- maybe even "Greens." It's so cool that you've got memories to match recipes that are wrapped up in the culinary history of your city. It is! I was so happy when I discovered Valerie Gordon was a former San Franciscan. I just love you. I wish you posted every single day. Please consider! Completely off topic: I wanted to tell you that after reading the praises of Ann Thorton's s'mores bars on your site, I broke down and made a batch myself. I'd had concerns about a number of things, but basically made the original recipe (minus the chipotle) and they were truly outstanding. So much more delicious than an actual s'more (which I have only ever eaten with Hershey's chocolate -- therein lies the culprit -- ICK). Next on my list is Durango cookies. I have a niece in her first year of college and she's the perfect recipient of all my cookie experiments, thank goodness. What a fine excuse! Weren't those s'mores bars great? I have to be sure I don't forget them. My husband has decided the Durango cookies are too salty, but I love them. Your mother was gorgeous. Looking back I can see my own mother had a kind of 70s glam when she got dressed up (there was a long straight orange dress with large appliquéd penguins at the hem ... no, wait, she looked great in it). While Mom didn't wear Birkenstocks she did belong to a co-op at one point. Was I going anywhere with this comment? I think not, except perhaps to say that lemon and coffee flavors together in one cake sound disgusting. The Birkenstocks were not my mother's best look. I inherited them and used them to garden and "accidentally" left them out and they were eventually destroyed by weather. I moved to SF in 1995 and went to Tassajara in Cole Valley on Saturdays for bread and pastries as often as I could. So sad when it closed! Thanks for reminding me of it...Hope Isabel felt okay about the SAT...I only know her through your writing but cannot believe she is a junior in high school?! See, I don't think I ever actually went to Tassajara. How is that possible? Apparently there are a number of errors in Sweet, but the cookies I've made have been great. The Scandia apple cake looks intriguing -- I read the recipe and thought about trying it, but didn't want to deal with all those apples. Tell me if it's good. I was 25 in 1975 living in Los Altos, cooking my way through Mastering the Art of French Cooking and the Tassajara Bread Book. That defines an era. I've made this for a special occasion cake for my 90 year old dad. We use a sponge cake baked in a tube pan, then cut into three layers. Plain, lightly sweeten whipped cream, toasted sliverd almonds and the coffee crunch (in smaller pieces than you show) makes it a very nice cake indeed. You will get a baking soda taste if you don't sift it quickly into the hot syrup using a tea strainer. Those clumps of soda can indeed be nasty tasting. I'm sure I made an error with the soda -- I may have to try again with the crunch just to satisfy my curiosity. In another book I'd seen the coffee crunch cake with the crunch almost crushed, but Gordon used big pieces so I followed her lead. It made the cake hard to cut. I think the plain cake would be much better than the lemony cake. Also good in a rolled sponge cake. see Kristin's comment below -- maple toffee! love these posts, especially since I'm spending 3 days in San Francisco next week. any recs for food/dessert/drinks while there? Go to Knead Patisserie in the Mission and try a pomme d'amour. So good! For a meal, the best lunch I've had lately was at the Zuni Cafe. Old, but better than ever. Drinks. . . I'm so out of it, I don't know where to drink anymore. Thank you thank you thank for the suggestion of Knead! I went one day (an hour walk from our hotel) only to find it closed (serves me right for not checking) but then trekked back the next and it was all worth it. The pomme d'amour may have shot to the absolute top of my best pastries ever list. I'm a bit chagrined to admit that I also devoured a butter pecan croissant mere hours later. I made a similar cake at Forage yesterday--brown butter vanilla cake with maple whipped cream and maple crunch (I used maple syrup instead of honey/corn syrup in a honeycomb candy recipe.) It did call for a lot of soda, but it came out fine. That sounds great, Kristin -- better than coffee. I'm sure I made a mistake with the crunch. Hmm, judging by the photo, our mothers were sisters. To this day, the very word 'carob' brings back those days of gritty, heavy, bland food. The dog is probably begging her for Milkbones instead of whole-wheat homemade dog biscuits, lol. Your mother is very lovely, by the way, and I'm glad the muffins were surprisingly light. Looking at the ingredient list, my first thought was that I wouldn't want to be far from a restroom after eating one. Maybe that's what Isabel was thinking when she said she'd rather have the 'lighter' bacon, peanut butter, and latte. The crunch cake does sound good, but I agree that lemon and coffee aren't a natural pairing for me. Too bad about the topping; chalk that up to experience. Does carob have any redeeming virtues?